These firmware updates improved the AF focus accuracy and stability of the adapter, highly recommend for all users. 1) Updated Lens AF driving mechanism, improve the AF locking rate and accuracy. 3) Fixed a program bug, reduce the chance of camera LCD black out. For EF/FX firmware download, please visit here. For EF/GFX firmware download, please visit here. Support Nikon AF-S G and E type lens, and AF-P G type lens contrast based AF in GFX 50s body. Electromagnetic diaphragm of type E Lens can be controlled by GFX 50s body, allows AF in full open ( decided by camera body ) and step down for exposure. Diaphragm of G type lens was manually controlled by aperture ring of adapter in real-time, so AF is conducted in real effective aperture as exposure. AF performance may be bad in low light/contrast, benefits are 1) Real aperture priority, 2) and totally no noise of consistent IRIS moving. Full EXIF info recording. 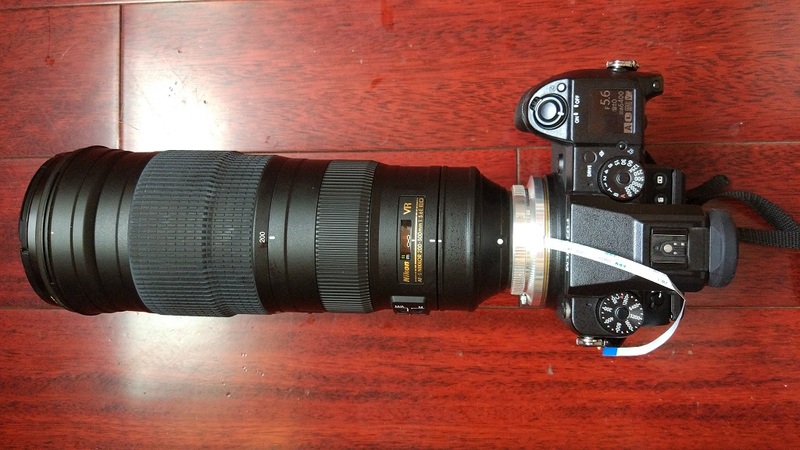 ( For G type lens, only the current max open aperture was displayed and recorded, no way to adjust it ). Lens VR was support and effective on demand. FX mount version adapter is in design phase, maybe with better performance of PDAF and auto aperture control version for your choice. Support to AF-D type lens will be very limited, EXIF may works, but no AF absolutely. 1) Lens Image Stabilizer activation mode change: From always on after camera powered on to effective only when shutter button was half pressed and camera exposing. 2) Solved the problem that sometimes lens was identified as wrong lens. 4) Disable lens parking in infinity end if an AF lens is set to MF mode during picture reviewing or camera powered off. For details , refer to here. It’s a bug fix release to 2.02, corrected the wrong lens info setting for zooming lenses, we are very sorry for that. Please visit here for downloading. For EF/FX , updated PDAF performance for dozens of EF lenses, updated lens capability and adapter stability. For EF/GFX, added support of “35mm Format Mode” support of GFX 50S 3.0 firmware release, and updated lens capability and adapter stability. EF-FX v1.07 Firmware updater for MAC OS was updated for bug fixing. Thanks for Patrick @ FUJI Rumors to let us know about it, there was a file name error in the firmware update script, now the firmware update package was fixed now, please try it again for Mac users. EF/FX 1.07 and EF/GFX 1.06 Firmware releases. For more info, please refer to here. Steelsring EF/FX Smart adapter opens for order now, Jan 29, 2018.